Price is the absolute last topic channel professionals want to talk about with their customers. That strategy can be challenging, especially when dealing with highly cost-conscious business prospects. MSPs who can keep the focus on their customers’ issues and needs ‒ and hold off the pricing conversations until decision-makers have bought into the solution ‒ rarely discount their services. The best way for providers to keep their margins high and head off price erosion is by establishing the value of their expertise and offerings up front. Business leaders who understand all that your firm can and will do for their organization are typically more willing to pay full rate, and possibly more for premium services. Of course, pricing is a topic you can’t put off forever. Eventually, you’ll have to deliver your clients and prospects a quote or detail the costs of the various services your company delivers. The timing is the tricky part. MSPs who put all their “cards on the table” by discussing prices too early risk a quick rejection or may face significant delays while sales prospects field other estimates. On the flip side, if after several discussions you still haven’t delivered a cost projection, the decision makers may get frustrated. If they are already sold on your services or simply want to verify pricing, those delays just give customer more time to reconsider or reach out to competitors for estimates. It’s not rocket science for MSPs. Most providers know the importance of listening to their customers and delivering information at the right point in the conversation. The timing of the pricing discussion is one of the most critical and finding that balance gets easier with experience. While pricing may not be a comfortable topic of conversation for all MSPs, there are typically a number of options they can pursue when customers express cost objections. Those with a “one-price-fits-all” strategy are often willing to walk away from prospects want room to negotiate. Unfortunately, that approach doesn’t work for everyone. Many providers support a variety of local organizations, including non-profits and companies with limited budgets and other cost constraints. Some simply can’t afford to walk away from potential dollars, even if that means making smaller margins, or would rather take a little less to keep their competitors from making inroads with businesses in their community. The latter point is a big one for some channel firms. Market leadership is usually worth a few points of margin for MSPs, so giving up a little to secure a new client usually balances out in the end. As long as those discounts don’t become a common practice and those companies don’t share their pricing with other customers (which experts suggest rarely happens), that flexibility can be helpful when providers are trying to close new business. 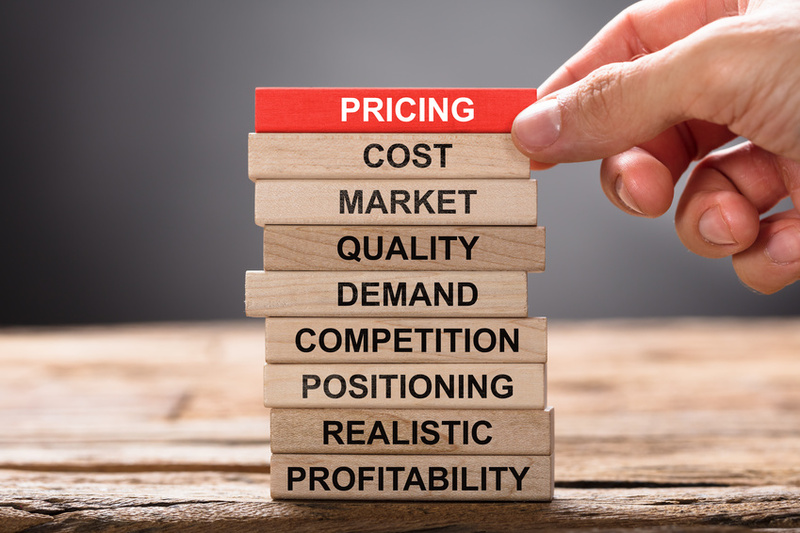 In general, an inflexible pricing structure may significantly diminish your sales prospects. Many MSPs spend months and even years trying to lure in new businesses. What happens when, after all that time and so many discussions, their decision makers agree to sign a long-term contract with one stipulation ‒ a 5% discount? Would you walk away, negotiate a compromise (maybe 3%?) or simply walk away? The “never say discount” philosophy would force MSPs to firm on their original proposal. Of course, most providers would ignore that rule for such a small discount after investing so many of their resources getting to that point. Consider it the cost of doing business. The most important rule when it comes to pricing? Be clear and flexible. Some MSPs make a mistake by following rigid strategies when it comes to their pricing model and portfolio. How can they truly be responsive to their clients’ unique needs with little or no flexibility? One of the best ways to differentiate your MSP business is delivering the specific services your customers want and need now at a palatable price point. After the initial sale, your team can build value and develop relationships that drive upsell and cross-sell opportunities as that client prospers. The hardest thing about making your pricing model as flexible as possible is finding vendors willing to help. Those partnerships aren’t easy to find. For example, the typical channel-focused vendor has a single, set pricing plan for MSPs and their clients. It follows Henry Ford’s philosophy on the first mass-produced car, suggesting that “any customer can have a car painted any color that he wants so long as it is black.” Like a set price strategy, the consumer ultimately prevailed, and Ford started offering other color options. ConnectMeVoice understands its partners and recognizes that flexibility is not a luxury when delivering hosted VoIP. Our Call Path Pricing is based on the lines your customers actually use, not the number of phones. That means neither you nor your clients will be charged for underutilized devices such as the phones in break areas and conference rooms. MSPs spend less because their bill will only reflect the number of lines their clients actually need to do business. Call Path Pricing allows providers to build the phone systems today that their clients will need tomorrow ‒ without affecting current cash flow. That plan makes sense for everyone. Learn more about hosted VoIP, the ConnectMeVoice channel program and our proprietary Call Path Pricing today. Get the flexibility you and your clients deserve!